We just got to try out this really fun Japanese Kendama and the kids just love it. It’s really fun! It’s made of plastic, has a fun marble pattern all over it. It’s pretty simple it comes with a ball attached to a string, there are 2 little platforms on the handle and you swing the ball around and try to make it land on one of the platforms. It takes some practice but once you get the hang of it then it get’s a little easier. My older kiddos have loved playing with it. However, I had to take it away from my six year old because the ball is pretty heavy and she was getting pretty dangerous with the swinging it around. I was really scared she might hit herself with that ball and it’s heavy enough it would probably hurt. Other then that it’s a lot of fun and we even had fun learning about the toy since it came from Japan and how it originated. 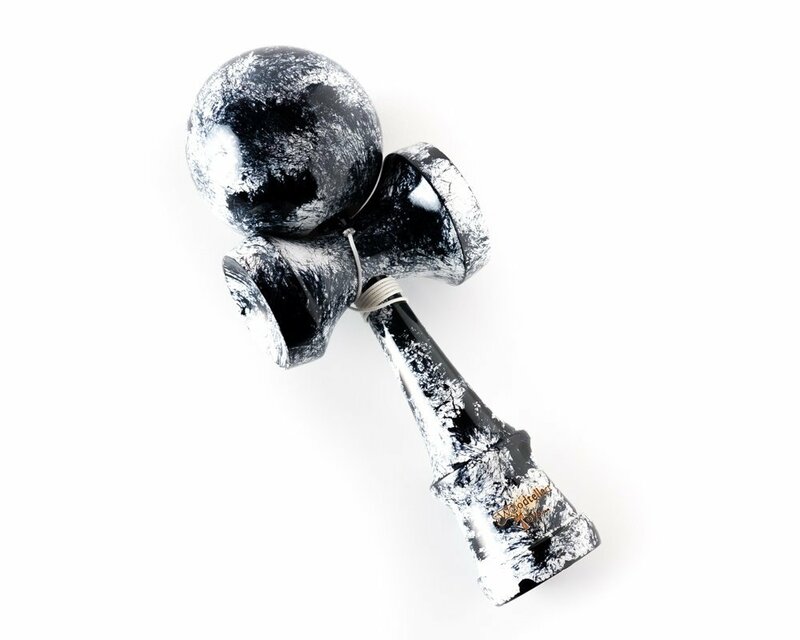 PREMIUM AND ORGINAL WOODTELLECT KENDAMA measures 7 inches tall, is made of solid wood with a stunning marble paint, and is individually packaged. NOW WITH AN EXTRA STRING!! BE THE LIFE OF THE PARTY!! Great gift for birthday’s, christmas or any holiday or occasion. Parties will never be the same when this kendama is given as a gift. INCREDIBLE VALUE!! Not only will you get the highest quality at the lowest price but we also include our BONUS how-to E-book!! This book teaches you how to do the TOP 10 kendama tricks. DURABILITY + SAFETY + CONVENIENCE = 1 PERFECT PRODUCT! This addicting Japanese game will test your hand-eye coordination and your competitive spirit! Test you skills against others. ORDER NOW AND SAVE BIG!! You can purchase with PEACE OF MIND, backed by our satisfaction guarantee! If you are ever unsatisfied with your purchase we will refund your money no questions asked!